Dr. Otis Brawley, Chief Medical and Scientific Officer for the American Cancer Society, is responsible for promoting the goals of cancer prevention, early detection, and quality treatment through cancer research and education. He champions efforts to decrease smoking, improve diet, detect cancer at the earliest stage, and provide the critical support cancer patients need. He also guides efforts to enhance and focus the research programmes, upgrade the Society’s advocacy capacity, and concentrate community cancer control efforts in areas where they will be most effective. Dr. Brawley is a global leader in the field of health disparities research and plays an integral role in the American Cancer Society’s efforts to eliminate disparities in access to quality cancer care. Giving the keynote address at the Jamaica Cancer Society’s Relay for Life event on Saturday at the Police Officers’ Club, Dr. Brawley recognized and paid tribute to the approximately 300 cancer survivors attending the event. “You guys are what being a scientist and a physician is all about”, he shared. “You inspire us to do more in cancer research and to investigate new methods of treatment to combat this disease”, he went on. He further shared that education about cancer must remain a national priority. Globally, it is gratifying to note that the number of cancer survivors is increasing whilst the number of individuals dying from cancer is decreasing. Increased health promotion and changes in lifestyle practices are major contributors for this decline. The World Health Organisation has published that tobacco use, harmful use of alcohol, unhealthy diet and physical inactivity are the main risk factors for cancer worldwide. 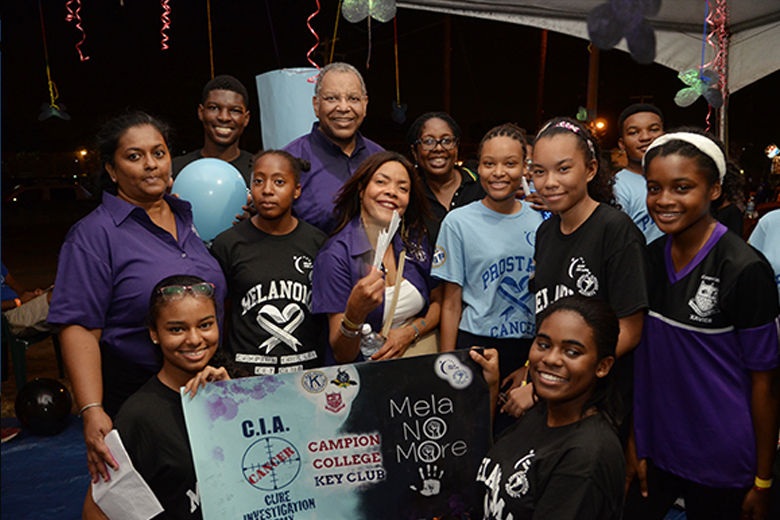 From Left Mrs. Margot Jameson , Relay For Life Event Chair, Dr. Otis Brawley and Dr. the Honourable Angela Brown -Burke, Mayor of Kingston ,and centre, Mrs. Yulit Gordon Executiv Director Jamaica cancer Society surrounded by members of Team Mela-No-More of Campion College at Relay For Life. 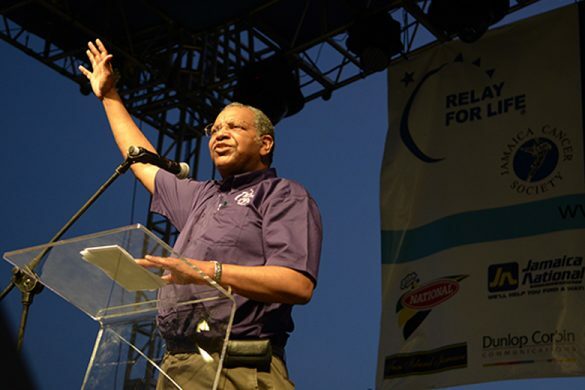 Dr. Brawley lauded the efforts of the Jamaica Cancer Society for 60 years of fighting cancer in Jamaica, and the support that the organization gives to cancer patients and their families. 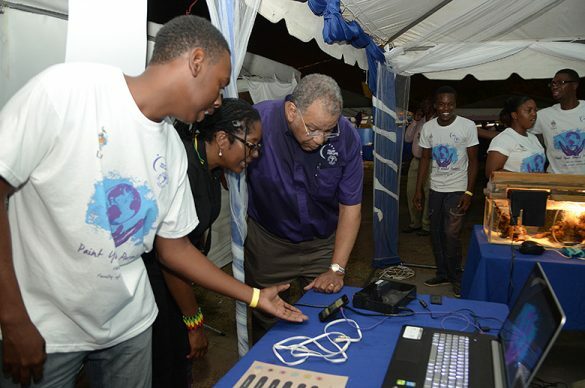 He encouraged the patrons to give the Society their full support as they work to reach more communities across the island and positively impact the lives of more Jamaicans. Images from JCS Relay for Life.